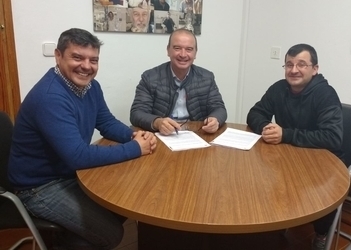 CiF president Jaume Ferrer and Alfonso Ferrer, chairman of the island's “Stockbreeders' Association” (Associació de Ramaders) signed a collaborative agreement to support local farmers around issues of animal health and improving systems of production in 2019. 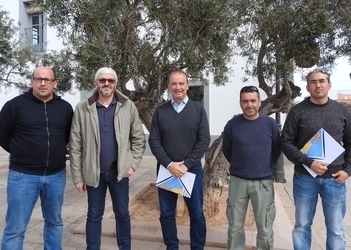 The Formentera Council will provide €37,000 to finance activities that the association programmes to enhance livestock production and encourage animal health. In turn, in addition to supporting the Council on the two above-mentioned issues, the group pledges assistance on any other matters concerning animal welfare and identification of animals on Agrupació de Defensa Sanitària member farms, plus carry out health-related work agreed upon as part of the yearly “Common Health Programme” (Programa Sanitari comú). The association will also continue educating its member farmers on essential measures at individual farms. The partnership comes up for review once a year. La Cooperativa del Camp de Formentera, the local agricultural co-operative, hosted a lunch yesterday, Sunday March 17, for their members and families and friends. All told, 425 showed up at the industrial space of the “Co-op” to enjoy an Es Forn-prepared arròs de matances and an array of signature local fare like wine, treats and café caleta. 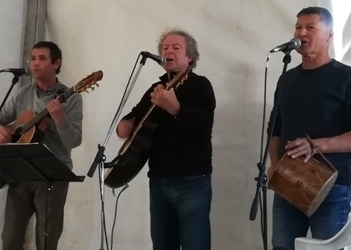 Music at the gathering was provided by Aires Formenterencs, whom the Co-op bequeathed with three local roosters in a nod to the group's thirtieth anniversary together. Operations manager Carlos Marí welcomed Co-op members and families in attendance and thanked them for their support. CiF president Jaume Ferrer, tax office and rural affairs councillor Bartomeu Escandell and provincial rep Sílvia Tur were also on hand for the event. On Friday, March 15 Cooperativa del Camp members gathered to communicate year-on-year numbers to members at the group's general assembly. A presentation of efforts and initiatives over the last year was conducted for the 310 members in attendance. CiF president Jaume Ferrer and Jaume Escandell, the president of Formentera's Cooperativa del Camp (“Farmers' Co-operative”), put their signatures on a continuation of the joint action partnership between the two entities. As part of the partnership the Farmers' Co-op commits to supporting an ongoing public programme to promote the revival of local agriculture and the revaluation of the island's rural spaces and landscapes in 2019. Under the deal the Formentera Council pledges to provide the Co-op up to €115,000. 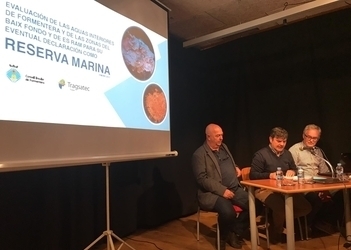 Yesterday at 8.00pm in la Mola's Casa del Poble, CiF presidency, tax office and rural affairs councillor Bartomeu Escandell was joined by Joan Mercant and Toni Garau, Palma's director and head of fishing, in shining light on the operating model and other details behind the new Punta de sa Creu marine reserve. The meeting was essentially geared for residents of la Mola and es Caló, who account for the fishing site's most frequent users. The gathering was islanders' chance to hear about management of the reserve and how changes will affect professional and recreational fishermen in the area. CiF rural affairs chief Bartomeu Escandell and environment chief Daisee Aguilera welcomed Aliança per l'Aigua coordinator Juan Calvo for a visit of the island's irrigation pond today. Also present at the event were Joan Ferrer, chair of the local Comunitat de Regants and representatives of the Tragsa company. 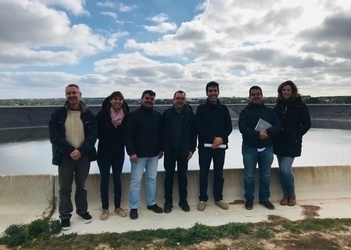 Councillor Aguilera underlined the importance of infrastructure able to “find ways to use waste water in local fields and keep it from being dumped in Formentera's surrounding waters”. The goal, says Aguilera, is “to close the water cycle”.